Recent statistics estimate that 300,000 Android devices are being activated everyday. This increasingly growing number of Android users is perhaps the biggest motivation to Android app developers as it provides them with one of the widest markets for users to access their apps. The steady adoption of Android by device manufacturers that produce tablet computers, smartphones, and other gadgets serve as an assurance that the platform is here to stay and developers can prepare for greener pastures in the near future. As a developer on any platform, you want to develop your applications at the lowest cost, utilizing free resources as often as you can. The Android platform, unlike iOS, is an open source platform and this fact has made developers take a liking to the Android platform, as compared to the iOS platform. Google develops Android and the company has taken huge steps in open-sourcing the technology and knowledge resources developers need to build apps on their platform. This includes Android documentation, which is very extensive and exposes developers to nearly everything. Unlike the iOS documentation that hides important aspects from developers. Furthermore, Android code is Java based, meaning the millions of already existing Java programmers have an easy time adopting the platform. These factors, coupled with the online support that most open source technology enjoys, makes the Android development learning curve much shorter than that of an iOS developer. There are more than 50 Android phones in the market from more than ten manufacturers. This excludes other hardware that also runs Android, such as tablet computers and televisions. This is a huge number given that iOS, Android's most competitive rival, runs strictly on Apple manufactured devices. Apple's devices are roughly 10 in type. Android users are therefore somehow 'spoilt for choice' and these variations mean there is an Android device suitable for almost everyone. This is a big boost to Android developers since it guarantees that their apps can run on cheap and relatively expensive devices unlike Apple manufactured devices that tend to be rather costly. For most developers, revenue generation obtained from sale of their apps or from advertisement plans is the reason they develop apps in the first place. They want as many markets as possible and the more users can gain access to their apps, the better for them. The Google Android market is now accessible via the web, a big stride taken by Google to add to the market app that already ships with all Android devices. Furthermore, Android developers can now post their apps to a variety of other popular markets, such as Amazon, where their apps get a global audience. 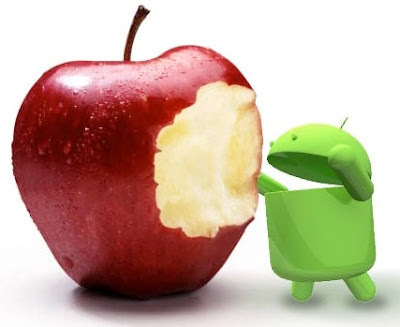 The same cannot be said for apps developed for iOS since they must be accessed from Apple's market, which many consider to be restrictive in ways the Android market isn't. Lastly, garbage collection is an important aspect of development. When building an app, you want to free up as much memory as you possibly can, given the limited capabilities mobile devices have. iOS development forces a developer to learn the details of memory management and when to free it. Android on the other hand, has efficient and automated garbage collection capabilities. In a nutshell, Android development is easy to learn, makes use of open source technologies and has a growing online community that constantly provides examples of working code that developers can modify or adopt into their own applications. It is worth mentioning that the Android OS is itself an embedded operating system that is based on the Linux kernel for core system services. Do you want me to translate it for you? No need, because there isn't one. There are over 100 versions of different android versions on different devices. take that developers! Wow, almost content free with lots of claims and no data. First visit. Last visit. I was hoping for something knowledgeable and enlightening. First paragraph showed the authors lack of knowledge and pretty much debunked any creditability for the rest of the article. I have created iPhone apps, and I am looking for a good sales pitch to push me over to the other side. It's obvious that Android will be the primary player years from now, but not today. Seriously biased toward Android. It doen't really matter how simple it is to develop, or how many devices there are out there. The important thing is will you be able to make money. Apple users have already proved that they are willing to spend money on an overpriced Apple device, and are much more likely to spend money on an overpriced app. That makes it worth 30% longer development time for an iOS app. A lot of blabla without any kind of insight or interesting points written in a way that can only lead to assume that the author has never gone beyond a "hello world" ..
have to agree: First visit. Last visit. This is absolutely a commendable post, you share splendid piece of information here. I'm wondering. How many of the people that are bashing the article have the ability to write code? I'm a computer engineer and I agree fully with the view in this article! ^ How ironic, are you saying the article has the credibility of an engineer? and what kind of "computer engineer" are you? assuming you are one. By the way the article explains nothing aside from those similar from a marketing peep from Android would have described. So assuming what written is all true then wouldn't iOS be doomed from the start? still yet to see the death of iOS devices. The truth is most ios developers who refuse to jump ship are actually fanboys. From the perspective of someone that develops mobile solutions in a B2B market, manages development teams, and has both written code, designed, and taken to completion apps on iOS and Android, my observation is that clients that lock into the iOS platform get more for their money. Of course, I'm taking the app marketplace out of the equation, since these are business user solutions and not meant for consumers. But, the productivity of the development environment, ease of finding quality resources, and the smaller population of iOS devices makes development and QA cycles shorter. The initial buy-in for hardware and training is trivial when compared to long-term ROI. To the extent that there is a case to be made for Android, I don't think this article does that.